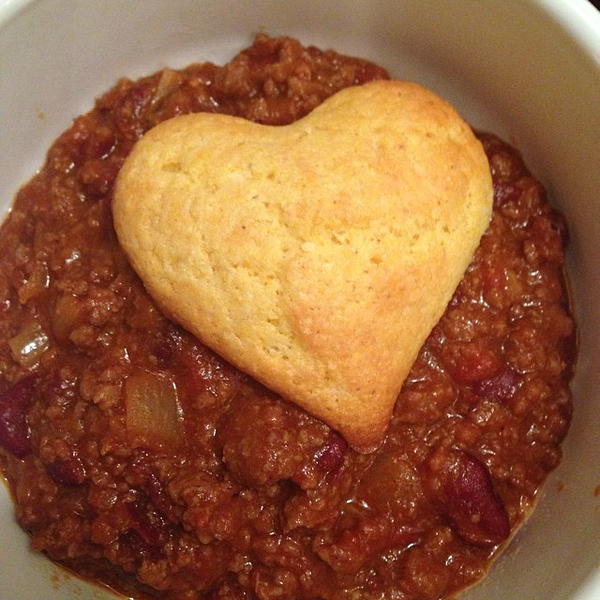 I needed a quick supper tonight so I took a container of chili out of the freezer to heat up. I figured corn bread would pair nicely with it. 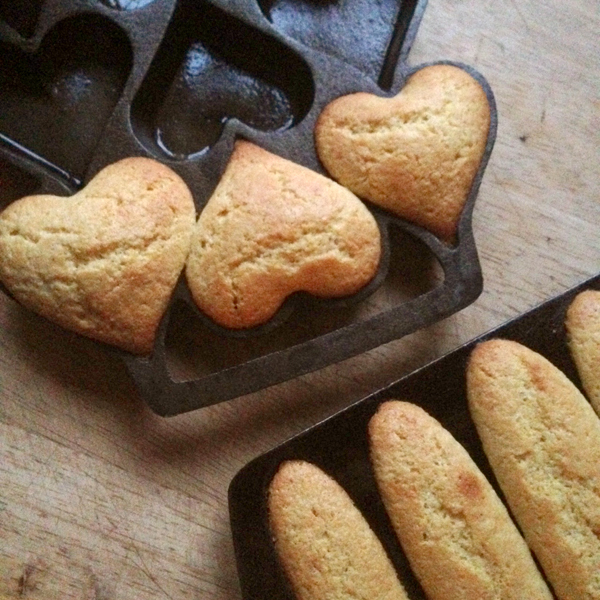 As long as I'm making corn bread, I might as well make it cute. 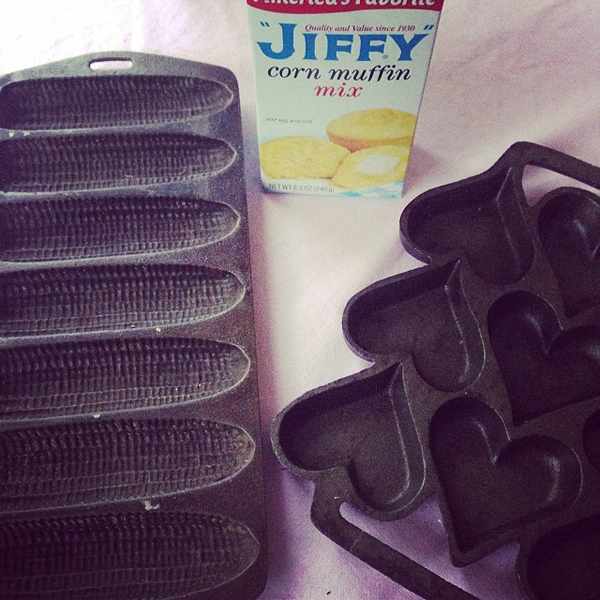 The Jiffy brand cornbread is my go-to box mix. It so easy to make and a true classic. I love the packaging. Jiffy has been producing baking mixes since 1930. Chelsea Milling Company, the manufacturer for Jiffy has been milling flour since the early 1800's! I would love to tour their factory in Chelsea, Michigan. I think their mascot is called "Corny". I see they have some interesting recipes on their website that I'll have to try! Like Mexican Cornbread. As for the fun shapes. 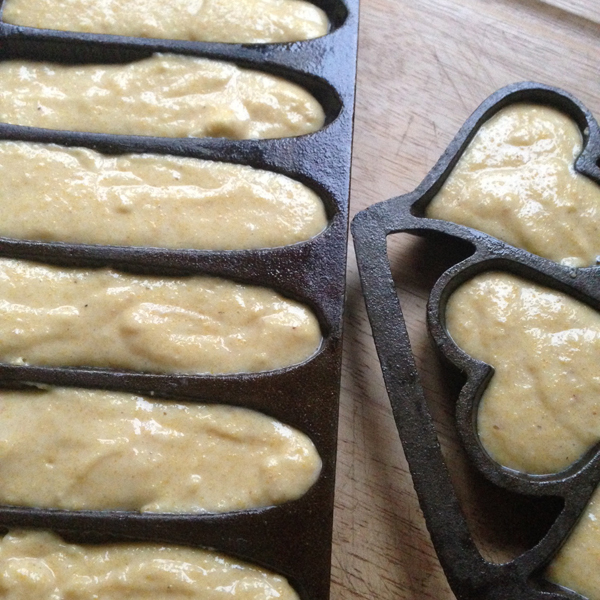 I have two cast iron baking molds that I got at yard sales. One is heart shaped and the other makes ears of corn. Really perks up a bowl of chili right? I've gone on the Jiffy factory tour! It's fun, and I recommend if it you're ever in the area. The best part was getting a little bag of swag at the end, with a recipe book and a few boxes of the mix of the month. You can also buy cases of mix from their retail store. :) Lunch at Mike's Deli in Chelsea completes a fun afternoon! That is very cool. Thanks for letting me know. Maybe it will be a road trip someday.